In November, Baptists will gather at various locations, including St. Louis, for a time of worship, ministry, fellowship, and missions. 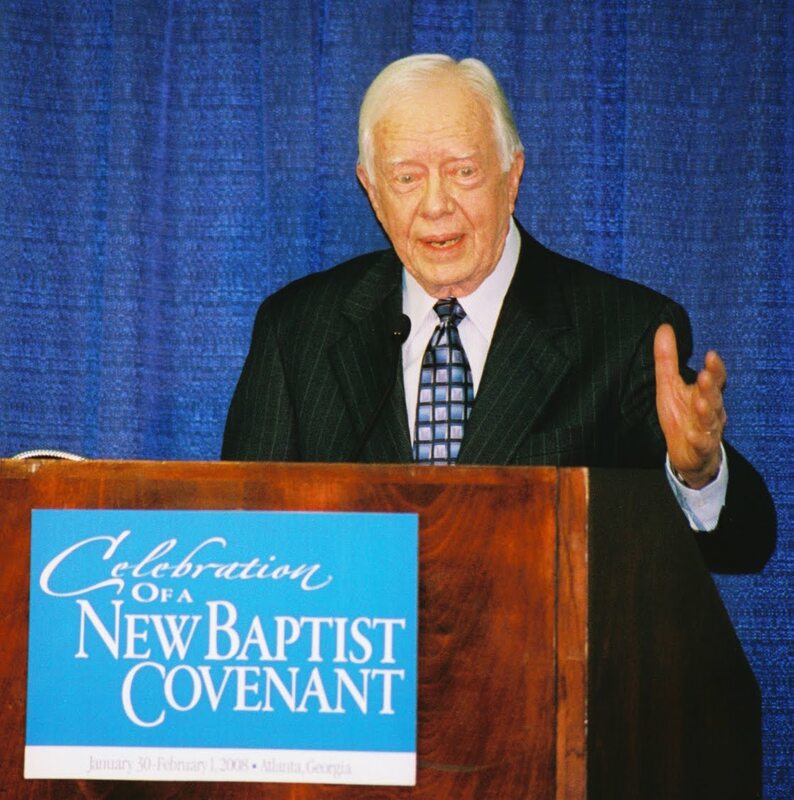 In 2008, about 15,000 Baptists from different denominations and ethnicities gathered in Atlanta for the Celebration of a New Baptist Covenant. Churchnet leaders were involved in helping plan the gathering. The following year, Churchnet helped host a regional gathering, the Baptist Border Crossing, in Kansas City. Next week, the second national event will take place at several locations across the nation, with St. Louis being one of the places to join this exciting gathering. The 2011 New Baptist Covenant will be occurring on November 17-19, and will take place in St. Louis at St. Luke Memorial Baptist Church, located at 3623 Finney Avenue, St. Louis, MO 63113. We hope you will make plans to join this exciting event! 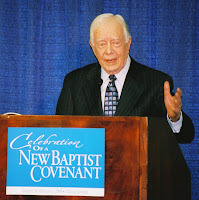 The New Baptist Covenant, which began on April 10, 2006 by former U.S. President and prominent Baptist layman Jimmy Carter and Mercer University President Bill Underwood, is an informal alliance of more than 30 racially, geographically, and theologically diverse Baptist organizations from throughout North America that claim more than 20 million members. Representatives of these Baptist organizations have reaffirmed traditional Baptist values, including sharing the gospel of Jesus Christ and its implications for public and private morality, as well as their obligations as Christians to fulfill the biblical mandate to promote peace with justice, to feed the hungry, clothe the naked, shelter the homeless, care for the sick and the marginalized, and promote religious liberty and respect for religious diversity. 7:00 pm - 9:00 pm: A Worship Service that is open to the General Public. Coleman, and Wendell Griffen (to be held via simulcast from Atlanta). 2:00-4:00 pm - Various breakout sessions addressing community concerns, such as HIV education/ministry, the culture of youth violence, and ministry efforts among foreign born national populations. 7:00 pm - 9:00 pm: A second Worship service that is open to the General Public, with speakers to include Carroll Baltimore, Tony Campolo, and Marian Wright Edelman. A Day of Service within the community (specific sites and service projects to be determined). For more information, please view the New Baptist Covenant St. Louis website at www.newbaptistcovenantstl.weebly.com or the national New Baptist Covenant website at www.newbaptistcovenant.org. You may contact the New Baptist Covenant St. Louis team at newbaptistcovenantstl@hotmail.com, or 314-531-1978.